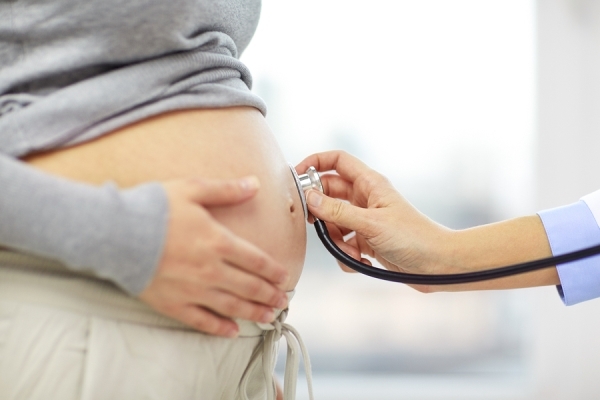 Every pregnant woman has a 20% chance of having a high-risk pregnancy. Although a lot of women have a natural and smooth pregnancy, there are others who encounter certain problems. This kind of pregnancy means that the mother, the child, or both are likely to have complications. This can be caused by a variety of factors, like medical conditions before or during the pregnancy, mother’s age, or pregnancy-associated problems. A high-risk pregnancy is difficult and will have a social and psychological effect on the mother. This is especially true when the situation is recurring and has resulted to some serious consequence before, like the baby’s death. In a high-risk pregnancy, the mother will have to go through a special pregnancy care as instructed by the obstetrician. This is to ensure that the mother and child are safe. This pregnancy can be an issue for the family and the woman’s partner, as well. The mother may no longer be able to do her usual activities and tasks at home and outside. Her family may have to deal with this and split up the tasks among themselves. This can even bring in stress and anxiety to the entire family. Some couples may be in denial about the condition and continue their usual day-to-day lives. This can affect the pregnancy and may even worsen the problem. Others may feel guilty about the pregnancy and blame themselves. A father may feel like it was his fault that this pregnancy happened and a mother might blame herself and her health. Couples may lose their self-confidence or feel angry. The partner may feel resentful, especially when he is left with all the chores at home. The kids may feel envious of the attention that the new baby gets. There is a whole lot of emotional whirlwind that comes in between the family during a high-risk pregnancy. However, a family can always see this as a test that they can all do well if they work hand-in-hand. For mothers who have high-risk pregnancy, it would be best to follow some precautionary steps in order to handle the emotional distress that it causes. Taking simple steps can help in getting everything done without struggling through the tasks. It would be best to learn more about your condition and tell your family about it. You can even ask your doctor for some advice. Create an emergency plan that you can use in case you have to stay at the hospital. Write and organize the tasks and responsibilities at home and list who does what. This is to ensure that everything will go on smoothly even when you’re not home. You can also hire a babysitter or a cleaner who can do some tasks for you. Having some relaxation exercises will also be helpful in relieving the stress. Most importantly, never give up your quality time with your family. You can always restructure your family activities so it would fit your health requirements. You can always opt to play board games or watch movies together while you’re in bed. Next articleGiven Birth When You’re Not In The Hospital – Just In Case!